America's highways are decidedly less safe on April 20, a day when stoners publicly celebrate marijuana use. Why? Researchers report there's an uptick in fatal traffic crashes on that evening, which for decades has been a counterculture holiday revolving around pot use. Your risk of dying in a fatal wreck increases about 12 percent on that date, comparable to the increase in traffic risk that's been observed on Super Bowl Sunday, according to the analysis of crash data. Teenage drivers have an even higher risk of dying in a traffic crash on that day, said lead researcher Dr. John Staples. "Among drivers younger than 21 years of age, the risk of crash involvement was 38 percent higher," said Staples, an assistant professor of medicine at the University of British Columbia in Canada. The simplest explanation for the increase in fatal crash risk is that people are getting high and then getting behind the wheel, he suggested. "Cannabis impairs key skills needed for driving. The public should know don't drive high," Staples added. "Impairment with drugs and alcohol increases the risk of a crash." However, marijuana legalization advocates point out that this study doesn't pin the blame directly on marijuana use. "The data in this paper does not identify whether any of the drivers involved in motor vehicle accidents on the day in question were either under the influence of marijuana or responsible for the accident," said Paul Armentano. He is deputy director of NORML, a group advocating for the reform of marijuana laws. Staples works at St. Paul's Hospital in Vancouver, which is located near one of the major North American sites for 4/20 celebrations. "On April 20, we often see patient numbers surge, mostly related to drug use," Staples said. To see whether the holiday had any effect on road safety, Staples and his colleagues gathered 25 years of crash data from the U.S. National Highway Traffic Safety Administration. 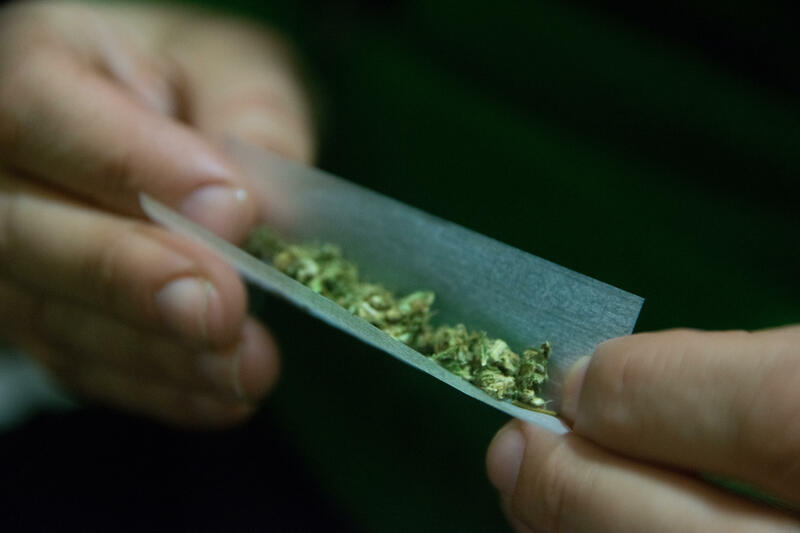 The investigators chose 1992 as their starting point because, a year before, High Times magazine published an article that widely popularized the notion of April 20 as a day to celebrate marijuana use, Staples said. The researchers compared crashes that occurred between 4:20 p.m. and midnight on April 20 with those that occurred during the same time period one week earlier and one week later, on April 13 and April 27. Staples agreed that the study relies solely on crash data and cannot determine how many of the drivers were stoned. It's possible people at the big 4/20 events also are drinking or taking other drugs, and that's what increases fatal crash risk, Staples added. April 20 events also could be so big that they alter traffic patterns and increase crash risk, he noted. Police also might be so focused on drug enforcement that day that they neglect to enforce traffic laws. "There are a number of alternate explanations," Staples said. "Unfortunately, we don't have a good way of knowing for sure which of those are contributing." The study found three states where crash risk increased the most on 4/20 -- Georgia, New York and Texas. Armentano pointed out that none of the three has legalized recreational marijuana use. "Nor are they jurisdictions known for having high-profile, well-attended marijuana-related events on April 20," Armentano said. J.T. Griffin, chief government affairs officer for Mothers Against Drunk Driving, agreed that the study is flawed, but added that it raises larger questions worth pursuing. "We still don't have good definitions of marijuana impairment. We still don't have good data on how many people really are using drugs and driving," Griffin said. "And it's definitely worth looking into the 4/20 phenomenon a little more deeply to figure out what it means in terms of traffic deaths." The study was published online Feb. 12 in JAMA Internal Medicine.